The Sun was kind and benevolent today. It showered all the warmth and brightness and it was a pleasant day after heavy fog and mist that had made life sluggish and dull. 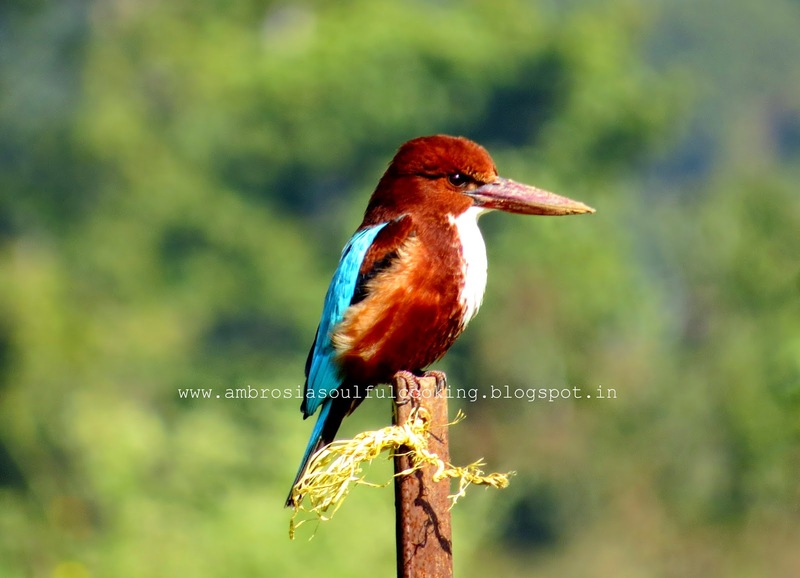 We spotted a White Breasted Kingfisher sunning on one of the logs used for barbed fence. The festival of Makar Sankranti is a day away. Makar Sankranti entails great celebrations all over Kumaon. We celebrate Kumaoni culture, music, traditions and art. Fairs are held in all the towns where local artists showcase their talents. Plays and music shows exhibit the richness of our culture. Stalls are put up where the farmers from interior hills sell their produce that comprises mainly of pulses and rare Himalayan herbs. People brave the cold and attend the festivities with great élan. Sweets made of sesame seeds are made in every house hold and are offered to the Gods. Come winters and sesame sweets are made and relished all over the hills. 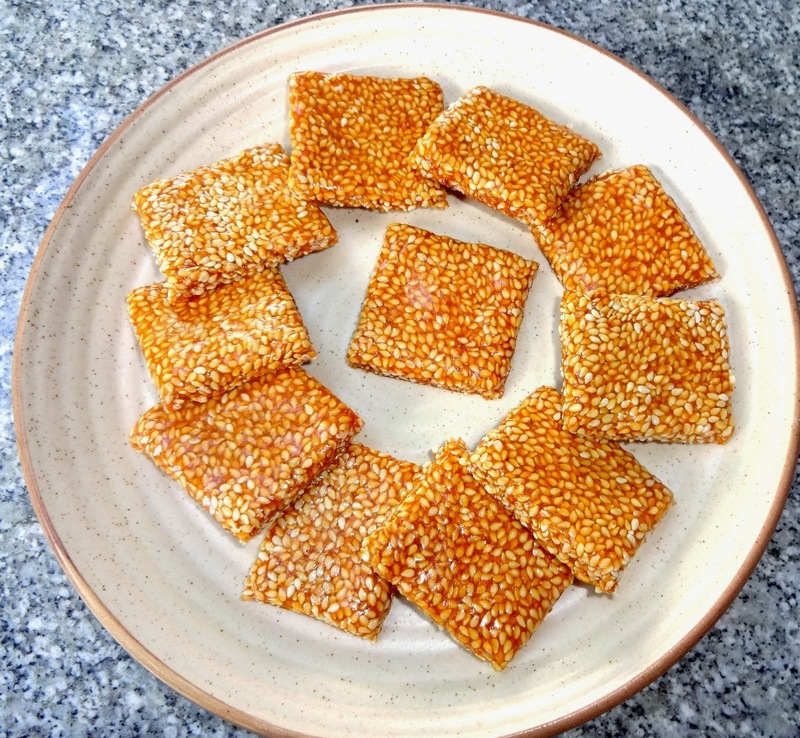 Sesame seeds (Sesamum indicum) are an excellent source of calcium, magnesium, iron, zinc, manganese, phosphorous, Vitamin B1 (thiamine), healthy protein and fiber. Half a cup of sesame seeds with hull contains three times more calcium than half a cup of whole milk. Jaggery is rich in minerals and iron. 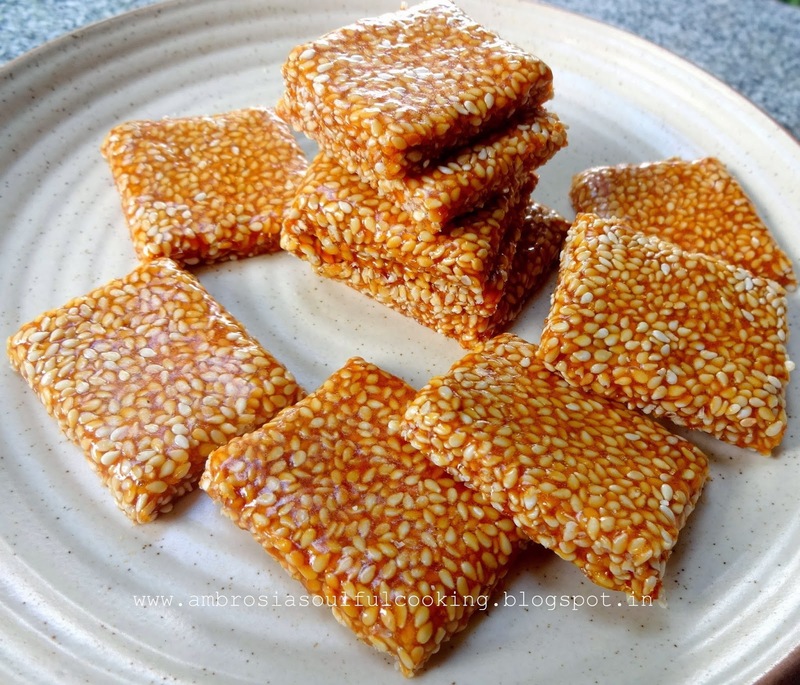 Roasted sesame seeds in caramelized jaggery make til chikki a delicious and healthy treat. Roast the sesame seeds in low flame till they turn golden in color. Keep aside. Take a pan. Add ghee and crumbled jaggery. Cook it over a low flame till it caramelizes. Add a drop of jaggery in cold water. If it forms a hard ball, it is caramelized. Turn off the heat and now add the roasted sesame seeds to jaggery and mix thoroughly. Grease the plate with ghee and then pour this mixture and roll it into a thin sheet with the help of greased rolling pin. Allow it to cool for some time and then cut into square pieces. Beautiful pictures and recipe! 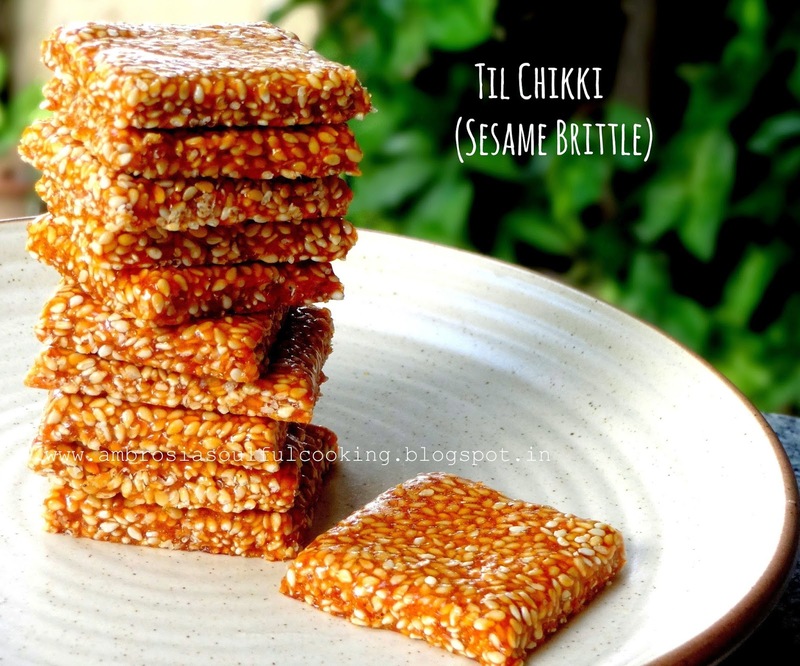 I wish I could be there for Makar Sankranti; it sounds lovely... over here there is wind and rain and everybody has finished celebrating :( I love chikki- and this remonded me to make some, thanks!